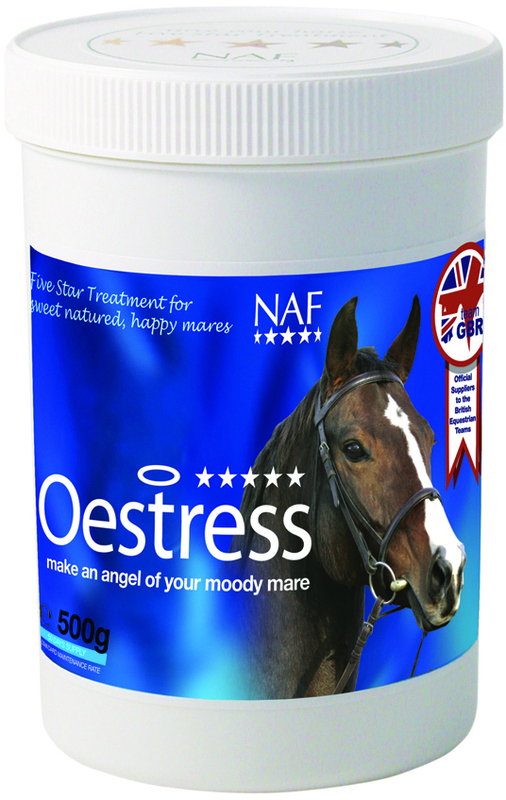 Oestress can be fed just during spring & summer, when your mare is at her most temperamental, or if needed, all year round. Oestress contains Magnesium; Chastetree berries; Black cohosh; Crampbark; Turmeric; Ginger; Milk Thistle & Rosehip. Oestress can also be given to geldings who are showing "riggy" behaviour. It is not recommended to feed Oestress to pregnant mares; also discontinue use on broodmares 2 months before covering. Give a higher loading rate initially, then lower to a maintenance rate. The maintenance rate can be adjusted to suit your individual mare & isn't necessarily related to bodyweight. NAF is part of the BETA NOPS scheme.